The first 3D printing or additive manufacturing equipment and materials appeared in early 1980’s. Since then, the world has changed and with it, the 3D technology has advanced to the extent that nowadays we’re talking about 3D printers capable of printing large-scale statues. The new solution of manufacturing objects in a fast and cost-effective way is still raising controversies. 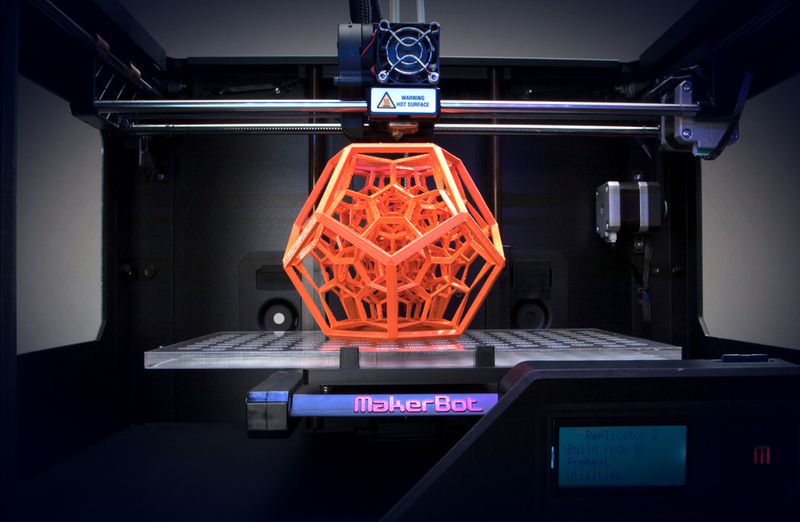 Few are convinced that 3D printing can replace the traditional manufacturing. Nevertheless, this process of building objects layer by layer has found its followers and is thriving in various spheres of human activity. An infinite amount of shapes can be created by simply using a printer. The possibilities are endless. Yes, 3D printers are not cheap and you might think that it’s not worth spending money on an expensive machine when you can simply buy the things you need from retail stores. As 3D printers are used to build household items, investing in a printer can save money in the long run. Depending on what household items you intend to print, the amount of saved money can amount from $500 to $2000 per year. 3D printing opens up an enormous catalog of thousands of products that we all have, need and use in our homes. As the material range for 3D printing expands quickly, it seems that shower-curtain rings, vases, cups, saucers and more are just the small share of products that a printer holder can make by himself, rather than purchase them. There is an ever-growing library of models available and many are free. You can argue the fact that 3D printing doesn’t really help you save money, but it’s all about which side you’re looking at the matter. Suppose you already have a 3D printer and you have basic modeling skills or you are at least willing to get some. Designing small items that, when thinking, we spend most our money on can turn into a cost-effective and money-saving activity. Yes, at first your phone case or photograph frame won’t be as polished and beautiful as the ones you can buy from the store. But, keep in mind that every fancy and beautifully-looking product that we own has undergone multiple production and processing procedures until they had got their final glossy look. With a little time and effort, you can achieve the same results, at a lower price. 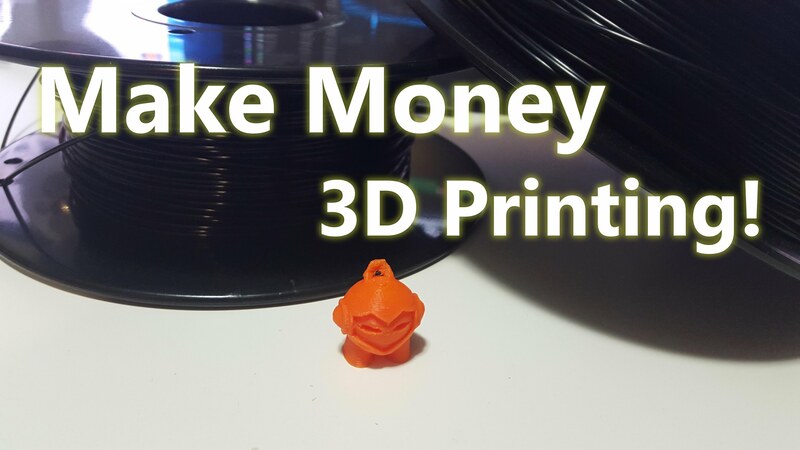 3D printing can also help you make money in a fun way. If you are passionate about computers and have CAD design skills, you can join the community of forward-thinkers and enthusiasts who enjoy the capabilities that 3D printing has to offer. Here are just 2 ideas of how you can use 3D printing to make your wallet thicker. 1. Create and sell designs. This might not sound like a new money-making 3D-printing-based idea, but it is one with great potential for growth. If you’re at the beginning, start by mastering CAD tools. 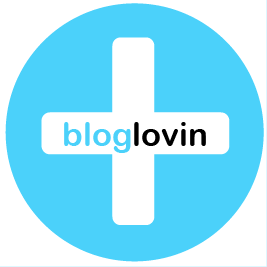 There is a wide availability of video tutorials, manuals, and guidelines you can learn from. Also, 3D designers are very likely to share their experience with the beginners, so don’t be shy and ask them questions that can contribute to leveraging your modeling skills. Register on 3D design and modeling forums and you will be amazed by the amount of information you can get for free. Create complex shapes and customize all designs to attract more potential buyers. If you lack inspiration, you can always go online and find some. Now that your design is ready in CAD, make sure it is also printable and has no errors. This is where you focus more. Netfabb is a great tool to find and correct errors that persist in 3D design files. Convert the design into a 3D printable file format. Find an online 3D marketplace to place your design for sale. Many companies have based their business line on the 3D printing process, seized the opportunity that it opens and started businesses that are thriving and growing every day. There are hundreds of 3D printing manufacturers, promising great output for a good price. What might be suitable for one person, though, cannot be good for the other. Therefore, before investing in equipment which you will be advertising as a printing service option, you need to select one that will make the perfect balance between price, output quality and ease of use. After having made your decision on the right printer, allow some time to get to know its functionalities in and out. Experiment with printing material and wall thickness, extrusion temperature and print bed leveling, layer height and travel speed. While many 3D printers have printing software built-in, there is a multitude of great software that might be a better option for your potential customers’ projects. Once you’ve discovered enough about the printer’s capabilities, you can enter the tool on a 3D printing network and start providing printing services. One of the largest such network, that allows users to register their 3D printer and accept orders is 3DHubs. 3D printing brings solutions for everyone. It’s up to you to discover and make the best of them. You can also choose the path you want to use the process. It doesn’t matter if you are a supporter or not, 3D printing is here to stay. 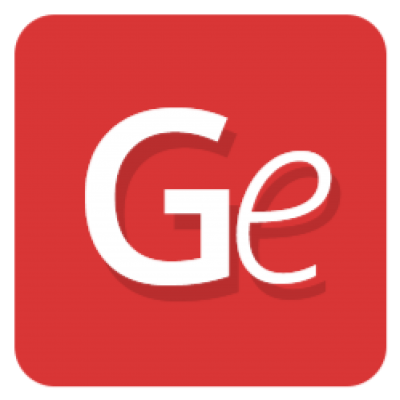 This article was written by Gambody, a 3D marketplace where users can buy and sell 3D files of game related models.